Visit your specialists for powder and wet paint solutions of the Helios Group at PaintExpo 2018! The traditional Powder Coating enterprises Rembrandtin Powder Coating, Ecopolifix, Color Powder Coatings and Helios Srbija will present their strengths together with their partner for liquid coatings, Rembrandtin, in Hall 2 / Stand 2128. Our experts will gladly advise you on site. You can register here for your free ticket to the exhibition. 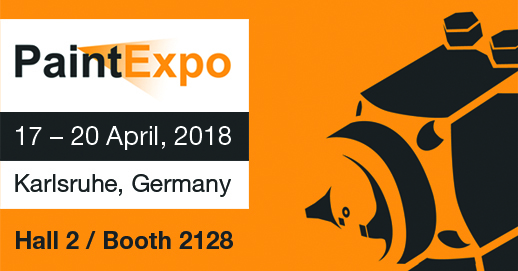 We are looking forward to meeting you at the PaintExpo 2018 in Karlsruhe, Germany.